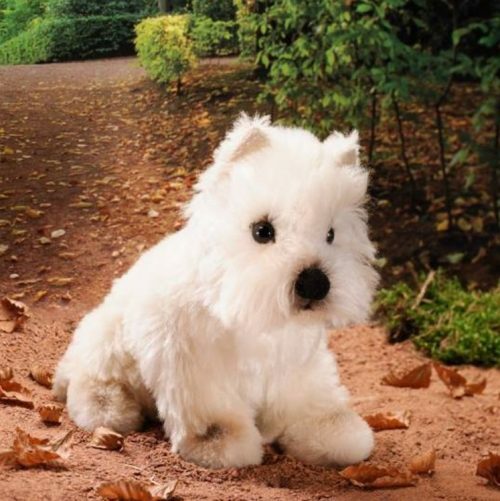 This friendly little West Highland Terrier is made of white mohair with exceptional airbrushed detail to his eyes, nose and paws. Very soft and tactile, he is part-pellet filled. Surface washable. Suitable for children over the age of 3. CE mark.